Attempt missed. Rachid Ghezzal (Lyon) left footed shot from the centre of the box is close, but misses to the right. Assisted by Maxime Gonalons. Attempt saved. Gonzalo Higuaín (Juventus) right footed shot from the right side of the box is saved in the centre of the goal. Assisted by Juan Cuadrado. Foul by Nicolas N'Koulou (Lyon). Attempt saved. 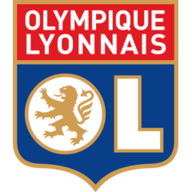 Maxime Gonalons (Lyon) right footed shot from outside the box is saved in the bottom right corner. Assisted by Corentin Tolisso. Corner, Lyon. Conceded by Medhi Benatia. Attempt blocked. Rachid Ghezzal (Lyon) left footed shot from outside the box is blocked. Assisted by Corentin Tolisso. Substitution, Juventus. Medhi Benatia replaces Dani Alves. Attempt blocked. Maxwel Cornet (Lyon) left footed shot from the centre of the box is blocked. Corner, Lyon. Conceded by Patrice Evra. Substitution, Lyon. Rachid Ghezzal replaces Mapou Yanga-Mbiwa. Corner, Lyon. Conceded by Stefano Sturaro. Attempt blocked. Maxwel Cornet (Lyon) left footed shot from the left side of the box is blocked. Assisted by Jordan Ferri. Juan Cuadrado (Juventus) wins a free kick on the left wing. Goal! Lyon 0, Juventus 1. Juan Cuadrado (Juventus) right footed shot from a difficult angle on the right to the bottom right corner. Assisted by Dani Alves. Attempt missed. Patrice Evra (Juventus) header from the centre of the box misses to the left. Assisted by Dani Alves with a cross following a set piece situation. Mouctar Diakhaby (Lyon) is shown the yellow card for a bad foul. Substitution, Lyon. Maxwel Cornet replaces Alexandre Lacazette. Corner, Lyon. Conceded by Dani Alves. Attempt saved. Corentin Tolisso (Lyon) header from very close range is saved in the bottom left corner. Assisted by Nabil Fekir with a cross. Substitution, Lyon. Jordan Ferri replaces Sergi Darder. Attempt missed. Corentin Tolisso (Lyon) right footed shot from the centre of the box is too high. Assisted by Nabil Fekir with a cross following a corner. Corner, Lyon. Conceded by Leonardo Bonucci. Corner, Juventus. Conceded by Nicolas N'Koulou. Attempt missed. Dani Alves (Juventus) right footed shot from long range on the right misses to the left. Assisted by Miralem Pjanic. Second yellow card to Mario Lemina (Juventus) for a bad foul. Sergi Darder (Lyon) is shown the yellow card for a bad foul. Attempt saved. Nabil Fekir (Lyon) right footed shot from the centre of the box is saved in the centre of the goal. Assisted by Corentin Tolisso. Offside, Juventus. Alex Sandro tries a through ball, but Miralem Pjanic is caught offside. Offside, Lyon. Jérémy Morel tries a through ball, but Nabil Fekir is caught offside. Second Half begins Lyon 0, Juventus 0. First Half ends, Lyon 0, Juventus 0. Attempt missed. Leonardo Bonucci (Juventus) header from the centre of the box is close, but misses to the left. Assisted by Dani Alves with a cross following a corner. Corner, Juventus. Conceded by Mouctar Diakhaby. Attempt blocked. Sami Khedira (Juventus) left footed shot from the centre of the box is blocked. Corner, Juventus. Conceded by Mapou Yanga-Mbiwa. Attempt saved. Gonzalo Higuaín (Juventus) header from the centre of the box is saved in the bottom right corner. Assisted by Dani Alves. Mario Lemina (Juventus) is shown the yellow card for a bad foul. Sami Khedira (Juventus) wins a free kick on the left wing. Attempt blocked. Jérémy Morel (Lyon) left footed shot from outside the box is blocked. Penalty saved! Alexandre Lacazette (Lyon) fails to capitalise on this great opportunity, right footed shot saved in the bottom right corner. Penalty conceded by Leonardo Bonucci (Juventus) after a foul in the penalty area. Corner, Lyon. Conceded by Mario Lemina. Attempt missed. Mario Lemina (Juventus) right footed shot from outside the box misses to the left. Rafael (Lyon) is shown the yellow card for a bad foul. Attempt missed. Sergi Darder (Lyon) right footed shot from outside the box is close, but misses to the left following a corner. Corner, Lyon. Conceded by Alex Sandro. Attempt saved. Gonzalo Higuaín (Juventus) right footed shot from a difficult angle on the right is saved in the bottom left corner. Assisted by Paulo Dybala. Attempt missed. Rafael (Lyon) header from a difficult angle on the left is high and wide to the left. Assisted by Nabil Fekir with a cross following a corner. Attempt missed. Mouctar Diakhaby (Lyon) header from the centre of the box misses to the right. Assisted by Nabil Fekir following a set piece situation. Attempt missed. Dani Alves (Juventus) right footed shot from outside the box misses to the left. Attempt blocked. Leonardo Bonucci (Juventus) left footed shot from the centre of the box is blocked. Attempt blocked. Alex Sandro (Juventus) header from the centre of the box is blocked. Assisted by Miralem Pjanic with a cross. Offside, Juventus. Patrice Evra tries a through ball, but Gonzalo Higuaín is caught offside. Attempt missed. Gonzalo Higuaín (Juventus) left footed shot from outside the box is too high. Assisted by Leonardo Bonucci. Attempt blocked. Alex Sandro (Juventus) right footed shot from the left side of the box is blocked. Assisted by Dani Alves.